For more than 30 years, Patience Gray, author of the celebrated cookbook Honey from a Weed, lived in a remote area of Puglia in southernmost Italy. She lived without electricity, modern plumbing, or a telephone, grew much of her own food, and gathered and ate wild plants alongside her neighbors in this economically impoverished region. She was fond of saying that she wrote only for herself and her friends, yet her growing reputation brought a steady stream of international visitors to her door. The Third Plate is chef Dan Barber’s extraordinary vision for a new future of American eating. 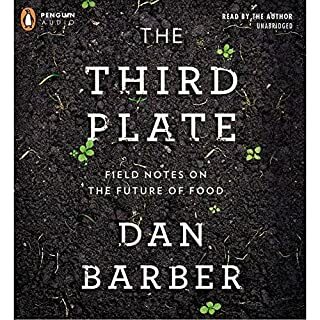 After more than a decade spent investigating farming communities around the world in pursuit of singular flavor, Barber finally concluded that - for the sake of our food, our health, and the future of the land - America’s cuisine required a radical transformation. This is what a paradigm shift feels like. Provence, 1970 is about a singular historic moment. In the winter of that year, more or less coincidentally, the iconic culinary figures James Beard, M.F.K. Fisher, Julia Child, Richard Olney, Simone Beck, and Judith Jones found themselves together in the South of France. They cooked and ate, talked and argued, about the future of food in America, the meaning of taste, and the limits of snobbery. In early August 1889, César Ritz, a Swiss hotelier highly regarded for his exquisite taste, found himself at the Savoy Hotel in London. He had come at the request of Richard D'Oyly Carte, the financier of Gilbert & Sullivan's comic operas, who had modernized theater and was now looking to create the world's best hotel. D'Oyly Carte soon seduced Ritz to move to London with his team, which included Auguste Escoffier, the chef de cuisine known for his elevated, original dishes. This is the story of four visionaries who profoundly shaped the world we live in today. Together, these women - linked not by friendship or field, but by their choice to break with convention - showed what one person speaking truth to power can do. Jane Jacobs fought for livable cities and strong communities; Rachel Carson warned us about poisoning the environment; Jane Goodall demonstrated the indelible kinship between humans and animals; and Alice Waters urged us to reconsider what and how we eat. The Potlikker Papers tells the story of food and politics in the South over the last half century. Beginning with the pivotal role of cooks in the civil rights movement, noted authority John T. Edge narrates the South's journey from racist backwater to a hotbed of American immigration. In so doing, he traces how the food of the poorest Southerners has become the signature trend of modern American haute cuisine. This is a people's history of the modern South told through the lens of food. Professional journalist and amateur drinker Bianca Bosker didn’t know much about wine - until she discovered an alternate universe where taste reigns supreme, a world of elite sommeliers who dedicate their lives to the pursuit of flavor. Astounded by their fervor and seemingly superhuman sensory powers, she set out to uncover what drove their obsession and whether she, too, could become a “cork dork”. 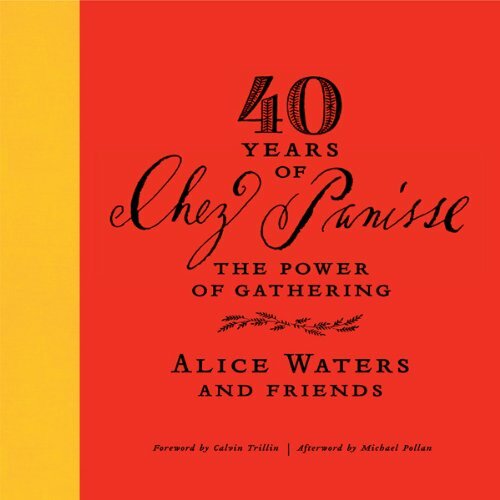 40 Years of Chez Panisse: The Power of Gathering, is an audiobook collaboration between legendary food pioneer Alice Waters and NPR's Kitchen Sisters. Alice narrates the saga of her trailblazing restaurant and the food movement it helped spawn, along with the voices of some 50 of her collaborators and friends. Peabody Award-winning radio producers The Kitchen Sisters bring their signature, richly layered audio style to Alice's powerful story of the life and founding of Chez Panisse. Told decade by decade, this compelling tale of food and political transformation opens in the tumultuous 1960s and travels across 40 years, tracing how a small neighborhood restaurant in Berkeley, California, helped ignite a movement for edible education and local, organic, and delicious food. Along with Alice we hear from dozens of people who have helped create the food movement, including Wendell Berry, Calvin Trillin, Michael Pollan, Eric Schlosser, Ruth Reichl, Marion Cunningham, Edna Lewis, Maira Kalman, Anna Deavere Smith, Hillary Clinton, Slow Food President Carlo Petrini, theater impresario Peter Sellars, farmer Bob Cannard, and many more - including chefs, farmers, gardeners, restaurateurs, artists, musicians, and writers. These voices are mixed with readings, interviews, music, sound, archival audio and field recordings captured by The Kitchen Sisters over decades of chronicling Alice's travels and efforts. 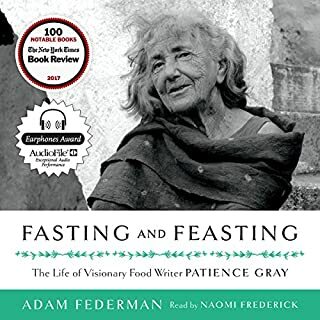 Lively, inspiring and soulful, this audiobook is over six hours of story spanning 40 years in the life of a pioneering and visionary restaurant and the woman who dreamed it up. This book praises Alice Waters to the point of canonization. She's slapped on the back so much I'm surprised the woman can walk upright. The book made me very hungry but didn't feed me. It's the descriptions of the food and the way the book was constructed that gets my three stars. If you could sum up 40 Years of Chez Panisse: The Power of Gathering in three words, what would they be? This is an excellent book to learn about the food movements in the U.S., as well as for the life and people around Chez Panisse. I was surprised to see the rating was only 4 stars for such a great book. When I examined the reviews here, I saw that many of them are composed of Amazon reviews from people purchasing old copies of the book and receiving them late or damaged from Amazon sellers. Those reviews have nothing to do with Audible. 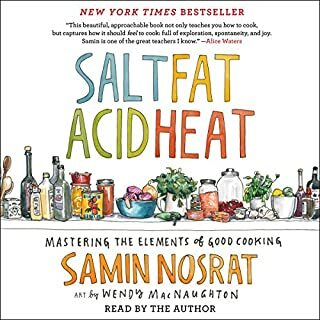 If you enjoy books about food, this one covers the life of Alice Waters and the Chez Panisse staff; and offers some insights about food and Berkeley life. Local Food Movement Visionary ~ An Amazing Listen! 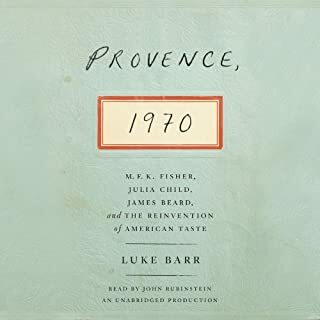 Where does 40 Years of Chez Panisse: The Power of Gathering rank among all the audiobooks you’ve listened to so far? 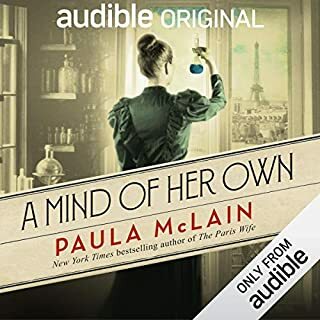 I listened to this audiobook and it was amazing. If you like the style of reporting commonly used by NPR, you will love it too. 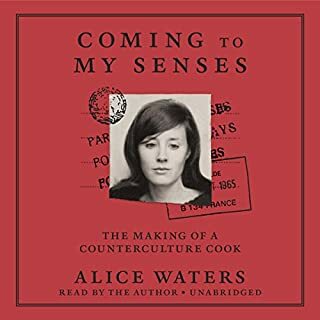 Not only did Alice Waters narrate a good portion of the book, but scores of others chimed in with their perspective and recollections. Music was carefully chosen to accompany the various segments. And the icing on the cake, was that this is a topic near and dear to me ... local foods over agri-business production of food. Local farmers, butchers, foragers, wine makers and more. This was delightful.